After one of the best Monday Night Football matchups of all time, the encore isn't all that exciting. After what was dubbed the Fantasy Football Super Bowl between the Rams and Chiefs totally lived up to top billing last week, the Texans-Titans matchup is a bit of a let-down. Still there are bets to be made. Here are five prop bets to consider for Monday's matchup. ## Monday Night Football prop bets *Odds courtesy of Westgate LV SuperBook ### Marcus Mariota passing completions: 19.5 The former No. 2 pick has been a disappointment this year and comes into this game with a sore neck after being injured last week against the Colts. But he practiced back-to-back this week and got the go-ahead. He missed their first matchup this year with an elbow injury, and he's only completed 20 passes three times this year. 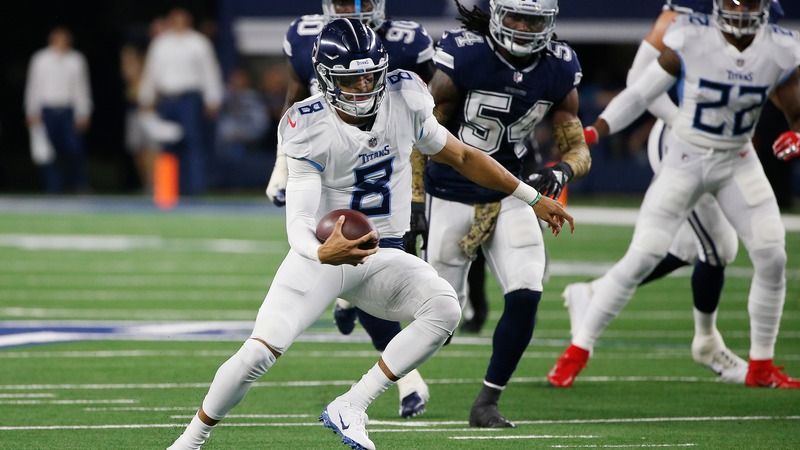 __More MNF:__ [Titans vs. Texans betting preview](https://www.betchicago.com/titans-texans-betting-lines-trends-total-mnf) ### Deshaun Watson passing yards: 248.5 Watson hasn't been nearly as prolific through the air as his rookie year, failing to throw for even 240 yards in the last five games. This, after three straight 275-yard consecutive games. He connected on 22 of 32 passes for 310 yards earlier this year against Tennessee. But he was at his best last year against the Titans in a 57-14 win, passing for 283 yards and four touchdowns with one interception. ### Deshaun Watson passing touchdowns: 1.5 (OVER -125, UNDER 105) After throwing three touchdowns or more in four straight games before tearing his ACL last year, Watson has only hit three touchdowns once this year, when he tore up Miami for five scores in Week 8. He has passed for two scores in four other games this year, including in Week 2 against Tennessee. __Free contest:__ [Play our Monday Night Football challenge to win a prize](https://betchicago.chalkline.com/games/nfl-mnf-challenge) ### DeAndre Hopkins receiving yards: 88.5 Arguably the most talented wideout in the NFL, and perhaps the most consistent this season, Hopkins has been relatively quiet, but still dominant. Four times, he's topped 100 yards, and he's been near it twice more. He had one of those 100-yard games against the Titans earlier this year. He's also scored in five straight games. But he's been held under 65 yards three times this year. ### Total sacks by both teams: 5.5 (OVER even, UNDER -120) Any time J.J. Watt is in a game, the sack total is intriguing. But the Texans have just 28 sacks on the year, middle of the pack in the NFL, and the Titans have just 23 on the year. Of course, Watt and Jadeveon Clowney have six-sack potential on any day, even against the shifty Mariota. The last time, Tennessee actually dominated the line of scrimmage, taking Watson down four times, while Houston got to Mariota once.